United Nations (United States) (AFP) - Yemen's ex-president Ali Abdullah Saleh is believed to have amassed between $32 billion and $60 billion through corruption during his 33 years in power, a UN report said Wednesday. A panel of experts reported to the UN Security Council that Saleh's assets were stashed in at least 20 countries and the team is investigating the ex-leader's connections with businessmen helping him to hide the funds. The 15-member council in November imposed sanctions including an assets freeze on Saleh, who was forced out in 2012 under a Gulf-sponsored deal. The council blacklisted Saleh for obstructing peace in Yemen, notably for backing the Shiite Huthi militia that has seized power in Sanaa. The report said Saleh built up his personal wealth through corruption, by demanding kickbacks for oil and gas contracts, stealing public funds and other schemes. "The origin of the funds used to generate Ali Abdullah Saleh's wealth is believed to be partly from his corrupt practices as president of Yemen, particularly relating to gas and oil contracts where he reportedly asked for money in exchange for granting companies exclusive rights to prospect for gas and oil in Yemen," it said. "It is also alleged that Ali Abdullah Saleh, his friends, his family and his associates stole money from the fuel subsidy program, which uses up to 10 per cent of Yemen’s gross domestic product, as well as other ventures involving abuse of power, extortion and embezzlement." The corruption allowed Saleh to pocket nearly $2 billion per year over the last three decades. 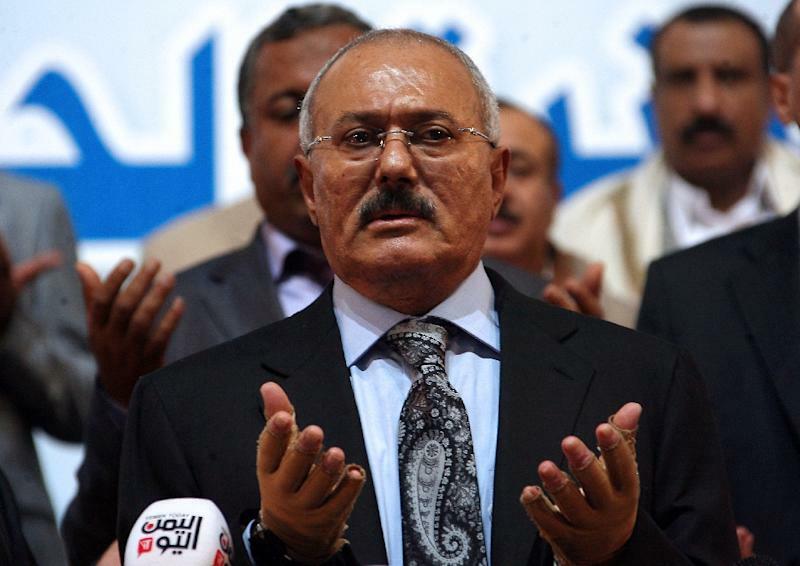 The council's decision to impose sanctions came as no surprise to Saleh who had been actively seeking to find ways to hide assets in anticipation of the move, the experts reported. "He has had plenty of time and opportunity to circumvent measures to freeze assets," the report said. The experts noted that many officials interviewed by the panel have argued for a return of Saleh's stolen funds to Yemen to help the country deal with its debt and economic problems. International alarm has been growing over the crisis in Yemen, a key US ally in the fight against Al-Qaeda which borders Saudi Arabia. The Huthis pushed their offensive last month, seizing the presidential palace and placing President Abedrabbo Mansour Hadi under house arrest. Hadi fled Sanaa at the weekend and has resurfaced in Aden.